The most important documents associated with the birth of Estonian statehood (the decision of the Estonian Provincial Assembly from 15 November 1917, the Estonian Declaration of Independence and the Treaty of Tartu) contain the concept of self-determination. For the first time in the twentieth century, the right to self-determination was written into an international agreement in Tartu on 2 February 1920. Article II of the peace treaty acknowledged that Estonia’s “birth certificate” was written out on the basis of legislation enacted by the Soviet regime, with which the Estonian side agreed. This treaty did not raise the right to self-determination to the level of international law. The peace treaties concluded between Soviet Russia and its other neighbours, which similarly employed the concept of self-determination, also did not manage to achieve this. 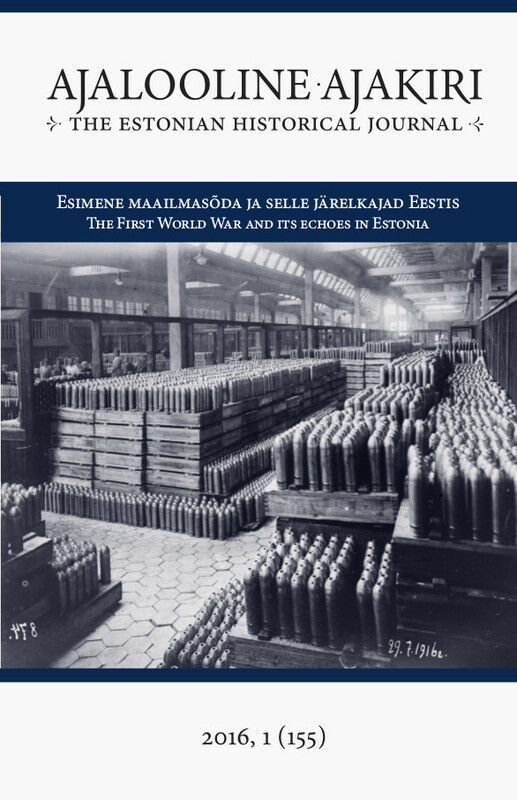 How was the question of self-determination manifested in contacts between Estonia and the USA in 1918–19? The USA has not been selected randomly here and there are two reasons for this. First of all, Ants Piip, the author of the peace treaty and the foremost expert on international law in Estonia, was forced to admit that he did not understand the behaviour of the USA. The attitude of the Americans was “particularly anomalous”, even though Woodrow Wilson was considered an exponent of the “right to self-determination”. He, nevertheless, was not the author of the idea of self-determination. The concept of self-determination was used in at least three different meanings in 1917–19. Firstly, the most widely known form of self-determination in Eastern Europe and consequently also in Estonia was connected primarily to ethnic nationality. As such, the concept of self-determination and the debate surrounding it were employed altogether earlier than when Wilson used it. It was complicated to differentiate between linguistic-ethnic-cultural self-determination on the one hand and the Leninist or rather the Communist Party’s notion derived from it but connected with class membership on the other hand. The third variety proffered by Wilson envisioned territorial-state self-determination partially founded on cultural identity. Wilson was concerned with the opportunities for people, but also the people as the citizenry or population, to choose the democratic system of government for themselves. Self-determination was more a democratic whole for Wilson shaped on the basis of people’s common interests, originating from the interests of the people, or “self-government”. For him, self-determination meant the opportunity for people or nations of their own accord to choose for themselves the democratic way of government. The USA expressed friendship and loyalty to the Russian state and people. The de jure recognition that the USA gave to the Baltic States remained conditional. This derived primarily from the vision of Russia’s right to self-determination. Thereat the Russian people and its democratic representative body were expected to reach an agreement concerning the future status of its peripheral regions. The knowledge that Russia had supported the northern states during the American Civil War but did not directly intervene in American internal affairs held the Americans back from helping in any way to dismember Russia. Wilson’s opposition to Russia’s dismemberment was also opposition to the plans of Japan and also partially of Great Britain. Unfortunately, all this contradicted his internationalism, new diplomacy and ultimately even his slogan of self-determination and his plans for creating the League of Nations. Estonian politicians used the concept of self-determination in their communication with the USA, even though they gave it more of a national-ethnic meaning as was done elsewhere in Eastern Europe. This was dangerously similar to the Leninist approach. The Estonian viewpoint nevertheless suited the USA administration more than the Leninist notion of self-determination, which contradicted Wilson’s standpoint a great deal more. Since the concept of self-determination did not become part of international law, the legal status of Estonia and other countries like it remained conditional between the two world wars, at least in the eyes of the Americans.